Thank you for your interest in working at Camp Al-Gon-Quian! We look for hard-working, enthusiastic individuals who possess a sincere desire to be a positive role model for children. Staff members bring energy and excitement to a program that provides challenging and creative activities for youth ages 8-16, in a traditional co-ed overnight camp environment. 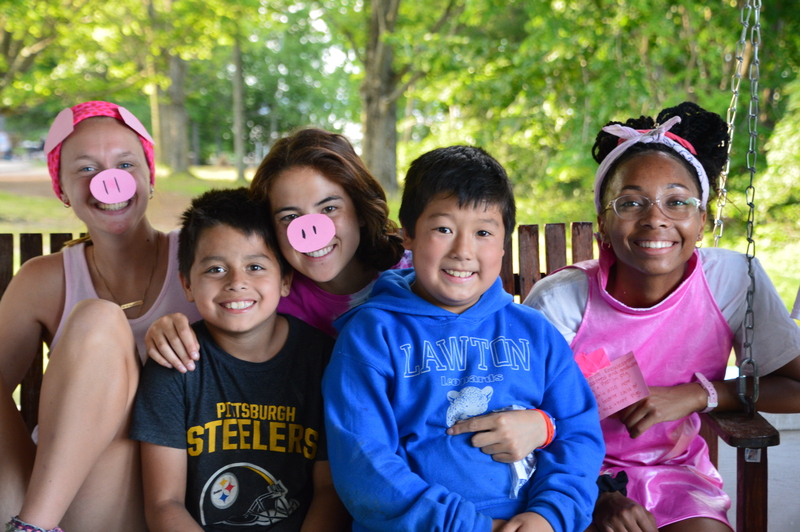 In the role of camp counselor you will be developing and demonstrating values such as honesty, caring, respect, responsibility and leadership – characteristics that are highly regarded by future employers. This work is demanding of your time, energy and emotions, and it requires a great deal of self-motivation, patience and creativity. It takes the kind of person who can have a positive attitude, even on the most challenging days. This job, without question, will be one of the most challenging and rewarding positions you will ever hold. It is essentially a 24-hour-a-day job full of laughter and sometimes tears. The family spirit that develops throughout the duration of a summer is beautiful to witness. Camp Al-Gon-Quian is a special place, not only for the children that attend, but the staff as well. If you think that you would like to be a part of the Al-Gon-Quian family, we can assure you that it will be one of the most satisfying experiences of your life. 2019 Staff Jobs Brochure: click here. 2019 Staff Pay Scale: click here.